I love shopping a Whole Foods for the variety of quality products but you really need to seek out their sales and coupons to make it affordable. 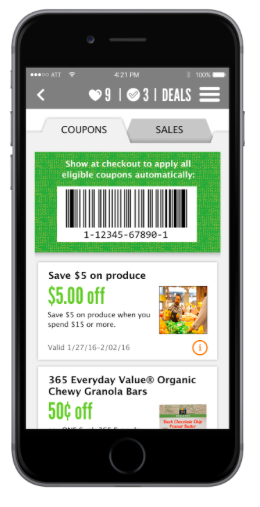 The Whole Foods app helps you save a lot of extra money with their e-coupons. 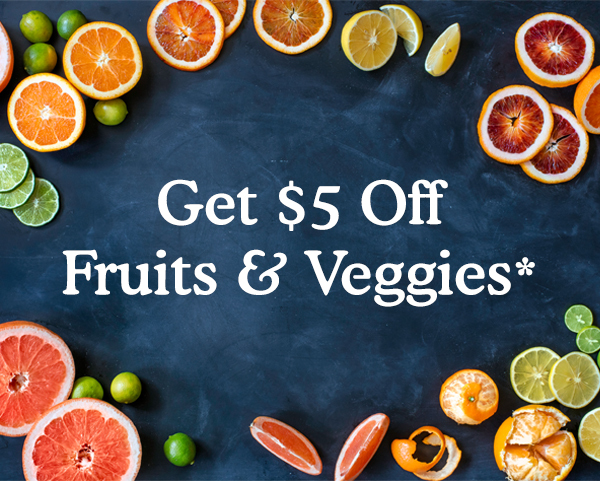 Right now, the app has a coupon for $5 off a $20 purchase of fresh fruits and vegetables that is valid until 1/31/17. Download the app here. No need to clip the e-coupons, just have the cashier scan the barcode in the app and they automatically deduct from your total. This entry was posted in Coupon, Whole Foods and tagged coupon, Whole Foods. Bookmark the permalink.